Like many others, I recorded an entry for the Puresolo competition (you could play your solo over one of the following backing tracks: Sulans of Swing, Calling Elvis, or Speedway at Nazareth). I always find it a bit frustrating to take part in such a competition because as it seems nobody knows before who decides basing on what criteria (authenticity, accuracy, originality, creativity, …??) Anyway, as the backing track was really great – the original recording of Sultans of Swing without the lead guitar – I simply used the opportunity to try how close I can get to the sound of the original. 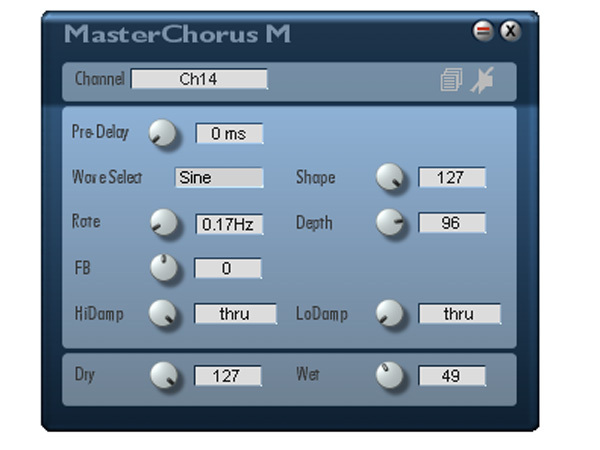 Note that you had to record the guitar with Puresolo’s software which did not allow you to fix mistakes later, so you had to play the whole song in one part and leave in all mistakes, or try it again with a second attempt. Instead of a link to the competition entry, you will find a player module with my version at the end of this post, mainly because Puresolo only plays back uploaded stuff in a horrible quality (something like 64 kbs). The guitar sound is surely not 100% as the original but closer to it than any of my previous attempts so I thought you might be interested in some details on the gear and settings. I first played a few guitars I had here to see which one sounds closest over the backing track. I originally felt to go for one with a maple neck, but finally my ’62 Strat with rosewood fingeroard had something the others had not. This does not mean that Mark also played his rosewood Fender Strat instead of his maple-neck, you can never be sure of these things. I first played the guitar through a Morley volume pedal which makes the sound generally sweeter (it takes out some harshness) but for this particular recording I felt I need a lot of treble, so I left out the pedal. 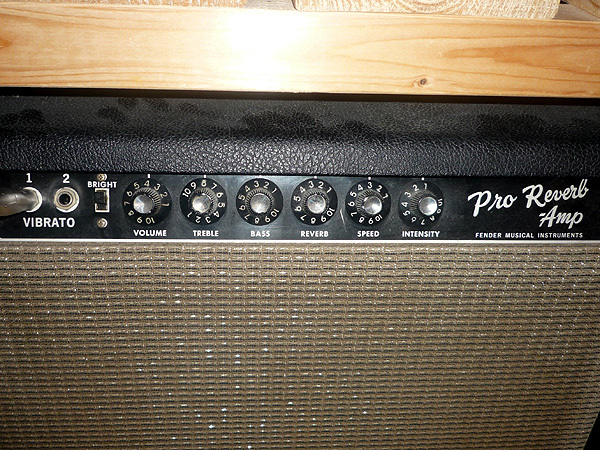 For the same reason a Fender Pro Reverb made it compared to an old Music Man amp. I dialed in enough treble and put on the bright switch. The sound was much brighter than I normally play here in the room but sounded alright over the backing track. 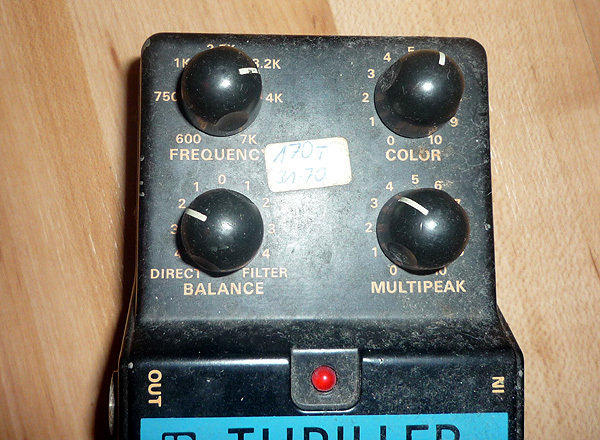 I tried an exciter effect – an old Pearl Thriller – which made the sound even shine a bit more.The last effects I used was some chorus and a limiter. Here I took a software plug-in from my Creamware Scope system. 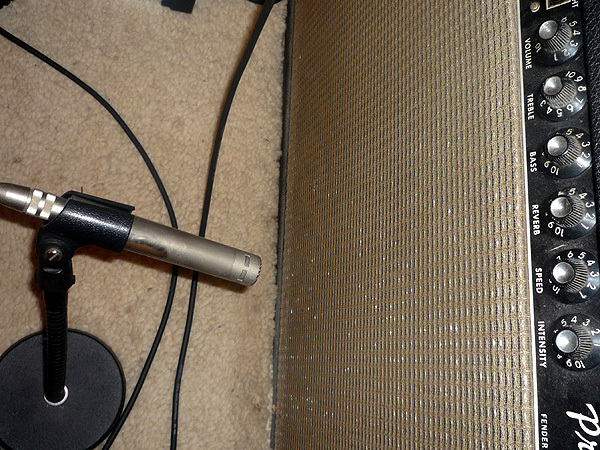 I used an old Schoeps CM64 tube microphone which sounded sweeter than the Shure SM 57. The next decision was the pick-up combination to use. Normally you’d say Sultans of Swing was the bridge & middle pick-up. I am still not sure what it was but bridge & middle definitely did not sound right here. The middle pick-up alone was too sharp, so I ended with the neck & middle pick-ups. However, note that this Strat has a Dimarzio FS-1 in the neck position, and this pick-up has a totally different impedance than a stock Fender Strat pick-up. This is why it does not sound as nasal when you play it together with another pick-up. I had rather thin (08) strings on the guitar, maybe too thin. I also did not more experimenting to get that little bit of distortion that seems to be on the original recording. It sounds like an abrupt clipping, maybe from the desk (?!). So, here is the result in uncompromised sound quality (MP3 320 kbs) as I can hear it from my hard disk. Unfortunately Puresolo compressed everything down to 64 kbs directly after the upload, what a shame since some of the entries are really great! Simply click on the blue progress bar to make the player play a different part of the song. Congratulations from Ingo. Nice work friend and very nice tone. I can hear the fs1 on the neck. (For best I would like it a bit more aggressive, is a bit more compressed). Thank you for helping us. God bless you! 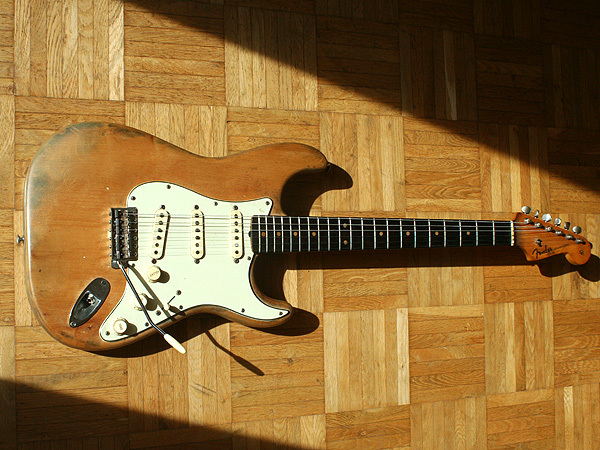 Imagine if it was true : sultans played on a bare-wood rosewood strat with the neck+mid PU, while we all thought it was on a red maple strat with bridge+mid ! I guess we all have “iconic” pictures in our heads about musicians, and especially guitarists; and sometimes these “mental pictures” are false ! Well,it’s a strange sensation, because it’s hard for me to imagine Mark in 78 playing on a bare-wood strat, and even more hard to imagine him singing alone, without guitar, in the studio along the backing track, as we heard in another article. About competition criteria, I totally agree that’s it’s a bit strange to decide between competitors without giving the rules before. What was the aim of this competition ? Getting the much closer to the original, or giving his own interpretation of the song ? I didn’t participate because I haven’t got the gear to record properly, and I guess I don’t have the half level of much players here ! what a beautiful sound, great player, i’m fan!!! Can you offer some tips to someone like myself that’s inspired to start learning guitar because of this great song? I hope someday I can play as well as you are doing here. I aslo started with the guitar becaus of this song by the way. In fact learning from it (not only mimic’ing but trying to analyze and understand it) can get you really far I think, there are so many different aspects in it. Can you give a few more pointers on how to get started ? There has been no other songs that inspired me this much to want to be playing. Hi Ingo, which speaker is best for that tone you have you think an old jensen or an oxford? Mine has Utahs, I guess Mark neither played Jensen nor Oxfords when he started with the Straits, probably even that brown Vibrolux did not have its original (normally Oxford) speaker. But both are great speakers generally, hard to say which ones are better, you need to hear both and decide for yourself. I suppose the marshall cabinets what you think with those greenbacks? They are sweeter than vintage speakers on fenders. I was really impressed. The sound is quite unique and true to the original. Actually, I have to congratulate you. I think Mark could not make the same sound today. To me it seems like this combination is really effective who knows if Mk used the 62strat but for me the sound is pretty the same. Nice fretwork indeed. 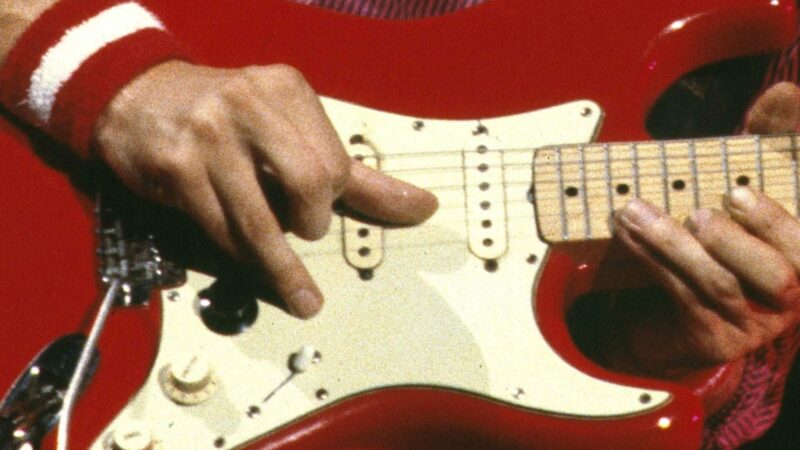 Question did you ever try a conemporary japan strat? I own a reissue 62 strat which is awesome sound and plays great betr than the american vintage 62 strat..just curious about your opinion. Respect for the final result!! To my ears it sounded almost perfect. I am still quite a beginner on the guitar and unfortunately I kind of miss the budget for real hardware, so I use my laptop with some nice software to mimic al the effects. 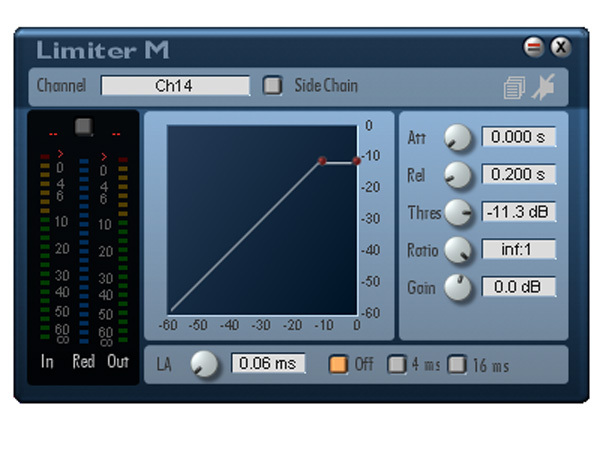 I use Amplitube and Fruity Loops and I must say the effects are, for me, quite amazing. dont forget mk does those picks where the thumb and index /middle create some harmonics with a bit of pinch. Those backing tracks are they available anywhere? ?